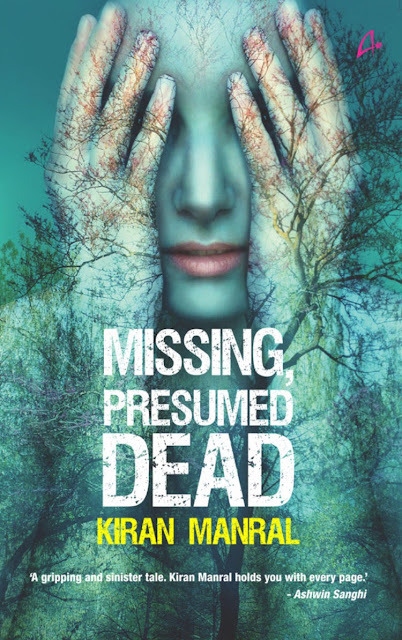 Presenting the just launched latest book by Kiran Manral: Missing, Presumed Dead. I am intrigued by the mystic Cover and Title itself. Lets hurry to know more below. In a dysfunctional marriage, it may seem convenient when the wife commits suicide, but things aren’t always what they seem. Battling both a fractured marriage and the monsters in her cranium, Aisha leads a sequestered life on the outskirts of a town in the hills of North India. She struggles to stay functional and tries to wean herself off the pills that keep her from tipping over the edge. Meanwhile, Prithvi, the husband she once loved, seems as eager to be rid of her, as she is to flee from him. Only her children keep her tethered to her hearth. One rainy afternoon, Heer, Aisha's half-sister, her father's illegitimate daughter from another woman, appears. Despite her misgivings, Aisha goes into town and never comes back. Seemingly unperturbed, Heer slips into her missing sister's shoes effortlessly, taking charge of the house, the kids-even Prithvi, who responds to her overtures willingly. A note found in Aisha's wallet states that she has killed herself, although strange happenings leave room for doubts. But, if she is not dead, where is Aisha? Did she really commit suicide? has she been abducted or is she hiding? Why does Prithvi not grieve for his deceased wife? And why does Heer vanish without a trace one day, leaving no forwarding address? Examining the destruction a dystopian marriage and mental illness leave in their wake, 'Missing Presumed Dead' confronts the fragility of relationships, the ugly truths about love and death and the horrifying loss of everything we hold dear, including ourselves. 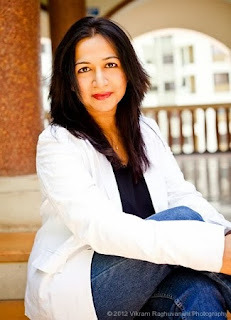 Kiran Manral is a renowned Indian author, TEDx Speaker, columnist, mentor and feminist. 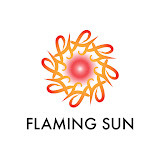 She has written books across genres in both fiction and non-fiction. An ex-journalist, her fiction books include the Reluctant Detective, Once Upon A Crush, All Aboard, the Face at the Window and Saving Maya. Her non-fiction includes Karmic Kids, A Boy’s Guide to Growing Up, as well as True Love Stories. 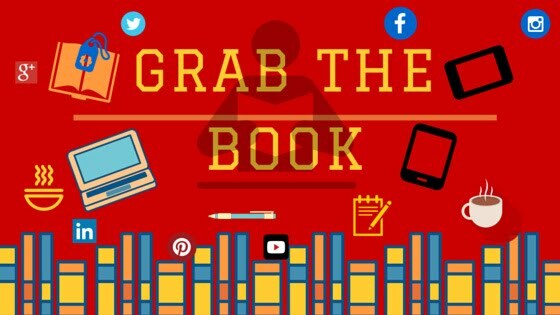 She has had her short stories published in various magazines, anthologies as well on online apps like Juggernaut. Welcome :) My pleasure Kiran. All the best for your book(s).